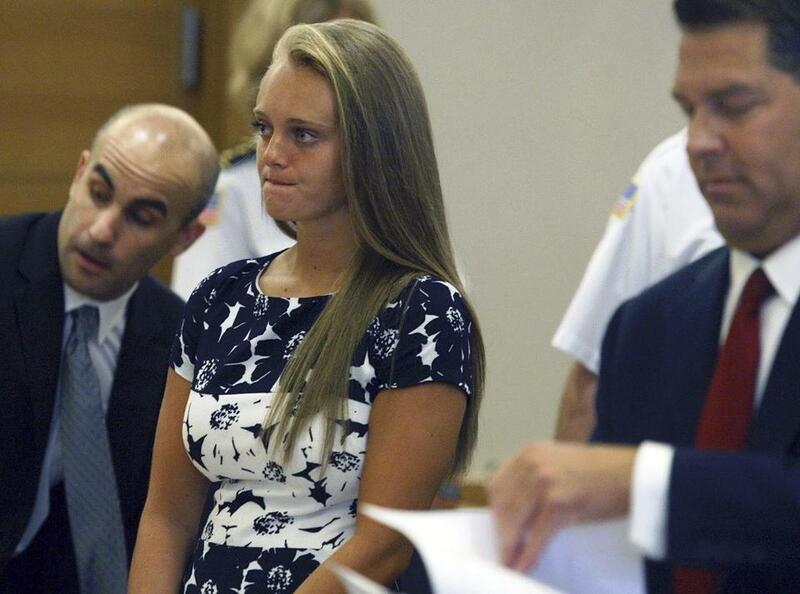 Michelle Carter stood with her attorneys at the Bristol County Juvenile Court in Taunton in July 2016. 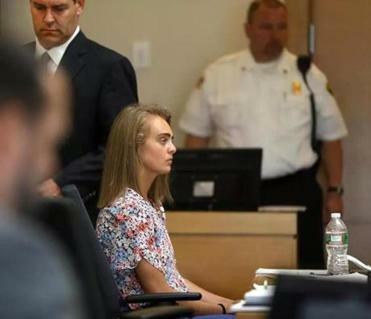 The case of Michelle Carter, convicted of involuntary manslaughter last year for encouraging her teenage friend to kill himself, is now before the state’s highest court, which will decide whether her words were enough to make her culpable for the death of Conrad Roy III. Bristol County prosecutors said the case clearly involved coercion — Carter knew Roy was vulnerable and pushed him to commit suicide even though she knew he was having second thoughts. “She knew she had significant leverage over him,” Assistant District Attorney Shoshana Stern told the justices. Last June, Carter was sentenced to 15 months in jail but has been allowed to remain free while she appeals her conviction. Massachusetts has no laws against assisted suicide, which has only complicated a case already rife with thorny issues of free speech and mental illness. Carter’s attorneys have filed a brief with the state’s highest court appealing her conviction for involuntary manslaughter. Carter and Roy, who met in Naples, Fla., in 2012 during family vacations, lived an hour away from each other — she in Plainville and he in Mattapoisett. For the next two years, they rarely saw each other but communicated frequently through texts and social media, often discussing their shared depression and Roy’s desire to take his own life. 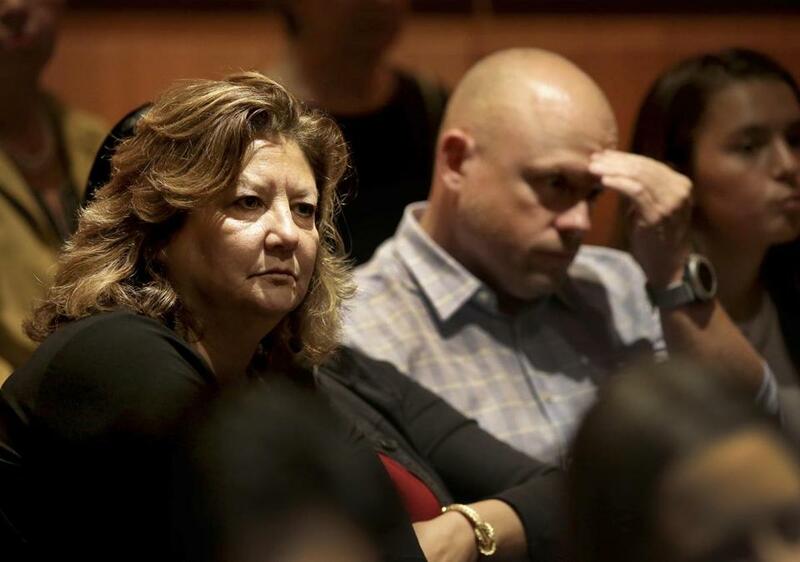 Family members of Conrad Roy listened to arguments in court during the appeal of Michelle Carter in Boston on Thursday. On July 13, 2014, Carter was 17 and about a month out of a psychiatric hospital when she urged Roy, 18, to commit suicide. She was on the phone with him and listened as he inhaled carbon monoxide in his pickup truck in a Fairhaven parking lot. At one point, Roy, 18, told Carter he was getting out of the truck, but Carter ordered him back in, prosecutors said. On Thursday, Marx said the evidence to show that Carter ordered Roy back into his truck was flimsy, based on a single text Carter sent to a friend months later. He also argued that Bristol County Juvenile Court Judge Lawrence Moniz was wrong to rule that Carter created a situation where Roy would kill himself, then neglected a “self-created” duty to try to save him by calling police or telling him to leave the truck. Under state law, Carter had no legal obligation to help Roy, Marx said. “And there is no case law . . . that with words alone someone can bring upon themselves the legal duty to prevent another person from hurting themselves,” he said. The American Civil Liberties Union of Massachusetts has said the conviction violates the First Amendment because it essentially criminalized “reckless speech.” Civil liberties advocates have also said the conviction could have a chilling effect on people who want to have honest conversations with sick loved ones about end-of-life options. But other legal observers have said the case draws a clear line between talking about suicide, or even encouraging it, and pressuring someone having second thoughts to follow through. “I don’t think in our society that we want someone to be coercing an individual to take his or her own life when they’re ambivalent,” said Susan Stefan, a Rutland lawyer who specializes in laws about mental disability and has written about legal policies around suicide. On Thursday, the justices wrestled with the question of when someone is culpable for another’s death without being present. Associate Justice Scott L. Kafker asked Stern, the prosecutor, if a person caring for a dying relative could be held criminally responsible for encouraging suicide. Stern said the caretaker could face legal trouble if he or she wielded significant influence over the relative. Carter’s indictment as a youthful offender made the question of culpability even more complex. Under Massachusetts law, a person under 18 who is charged as a youthful offender can be sentenced as an adult and have their case made public, unlike a juvenile who is tried behind closed doors. But to qualify as a youthful offender, Carter needed to have committed an offense that involved the infliction or threat of serious bodily harm, Marx said. Because she did not physically hurt Roy, she cannot be convicted as a youthful offender. “I wouldn’t take that offer, your honor,” Marx said to laughter.